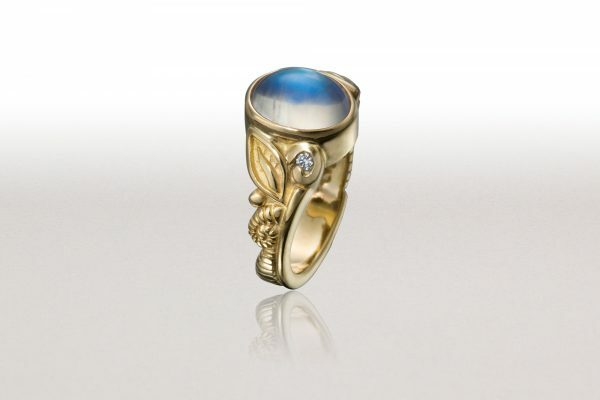 This 18k gold ring with set with a Royal Blue Moonstone and accented with diamonds. Each moonstone is different. 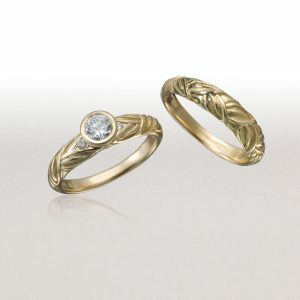 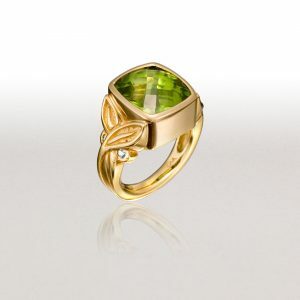 The price will vary with the weight and quality of the stone. 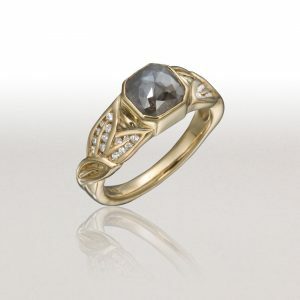 Royal blue moonstone is bezel-set in gold, accented with 2 diamonds.